I have this secret dish that I make that I love with all my heart. The problem is that its so potent, its guaranteed to give you nightmares. 1. 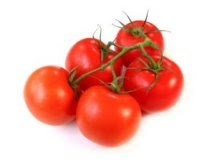 Cut each tomatoe up into 4ths ON THE PLATE, then take each 4th and cut it into slices. 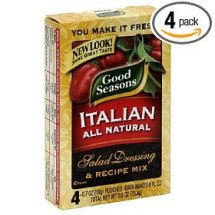 This will create lots of bite-sized tomatoe slices and there will be a delicious mess of tomatoe juice and seeds all over the plate. 2. 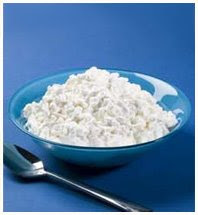 Grab 4 spoonfuls of Cottage Cheese and kind of dab it around the tomatoes so its unevenly spread all over the plate. 3. 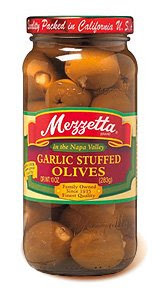 Drop 3 each of Garlic Stuffed Olives, Jalapeno Stuffed Olives, Hot Cauliflower, and Baby Dill Pickles and randomly drop them around in between the tomatoes and on top of the Cottage Cheese. The smaller the pickles, the better. 4. 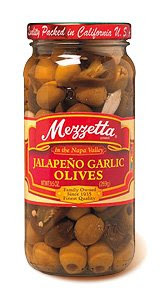 Drop 4 or so Jalapeno Garlic Olives and 2 of the garlic cloves from the same jar randomly around the plate. 5. Spill zig-zag patterns of the Good Seasons Dressing all over the place. I like to make horizontal lines and then vertical lines to make sure I've covered most everything. 6. 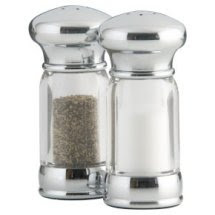 Shake Salt & Pepper everywhere. The trick is to make sure every single bite has a bit of cottage cheese with it, or it will be too overwhelming. 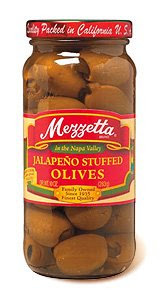 The strongest flavor will come from the Jalapeno Garlic Olives. 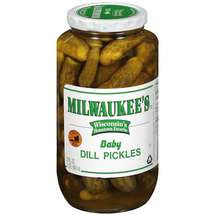 The part you won't enjoy is if the dill pickles are too big. They should be as tiny as you can find, you should be able to chomp them in a single bite. The smaller they are, also the more expensive they tend to be. Also, there will be an amazing cocktail of all the vegetable juices and dressing mixed in with leftover cottage cheese at the end. I generally even eat that up. I truly honestly love this meal. And its spicy enough I generally don't have to share it with my kids. They especially don't like the cauliflower, its got quite a kick. And dont say I didnt warn you. Eating this late at night is a gauranteed all night party in your stomach and it will give you nightmares. That's what Eddie had for dinner last night. 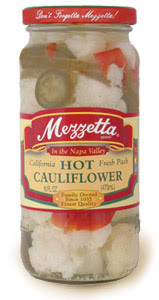 I really like the cauliflower and the garlic stuffed olives, but I can't do the jalenpeno stuffed ones. Too much!!! What the?! How did you even think up such a thing? I'm sorry I am not feeling the love of the dish. Perhaps this is one that has to be tried to appreciate. Ick!